Now available in 4 NEW COLORS: Pearly White, Merlot, Blue and Orange. 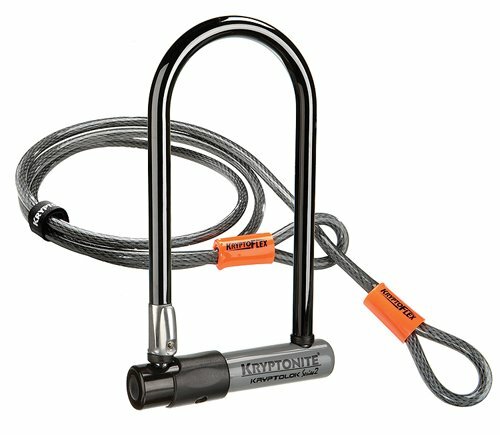 13mm hardened PERFORMANCE STEEL SHACKLE resists cutting and leverage attacks. Reinforced hardened CROSS BAR DESIGN provides increased protection. HIGH SECURITY DISC-STYLE CYLINDER. ANTI-RATTLE BUMPERS reduce noise during transport. ROTATING DUSTCOVER protects cylinder. Includes NEW TRANSIT FLEXFRAME-U transportation system which allows for versatile carrying. Protective vinyl coating. 2 STAINLESS STEEL KEYS.Product dimensions: 3.25” x 7” (8.2cm x 17.8cm). 13mm hardened MAX-PERFORMANCE STEEL SHACKLE resists cutting and leverage attacks. Reinforced hardened CROSS BAR DESIGN provides increased protection. HIGH SECURITY DISC-STYLE CYLINDER. ANTI-RATTLE BUMPERS reduce noise during transport. ROTATING DUSTCOVER protects cylinder. Includes NEW TRANSIT FLEXFRAME-U transportation system which allows for versatile carrying. Protective vinyl coating. 2 STAINLESS STEEL KEYS. Key Safe Program.Product dimensions: 3.25” x 7” (8.2cm x 17.8cm). 13mm hardened MAX-PERFORMANCE STEEL SHACKLE resists cutting and leverage attacks. Reinforced hardened CROSS BAR DESIGN provides increased protection. HIGH SECURITY DISC-STYLE CYLINDER. ANTI-RATTLE BUMPERS reduce noise during transport. ROTATING DUSTCOVER protects cylinder. Includes NEW TRANSIT FLEXFRAME-U transportation system which allows for versatile carrying. Protective vinyl coating. 2 STAINLESS STEEL KEYS. Key Safe Program.Product dimensions: 5” x 9” (12.7cm x 22.9cm).Product weight: 3.10 lbs (1.41 kgs). 12.7mm hardened PERFORMANCE STEEL SHACKLE. New Patent-pending HARDENED DOUBLE DEADBOLT DESIGN gives additional protection against twist attacks. HIGH SECURITY DISC-STYLE CYLINDER is pick and drill resistant. Includes 2 STAINLESS STEEL KEYS, with ergonomic design to reduce the amount of torque, and keep them from bending or breaking. NEW DUST COVER. 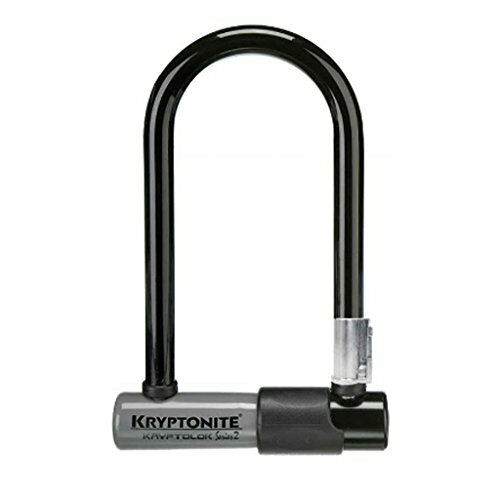 Includes FLEXFRAME-U BRACKET providing convenient multi-location u-lock transport. Protective vinyl coating. 2 stainless steel keys. Key Safe Program.Product dimensions: 4” x 9” (10.2cm x 22.9cm).Product weight: 2.9 lbs (1.32 kgs). Complete solution - use the 4' cable to secure front wheel or accessories. 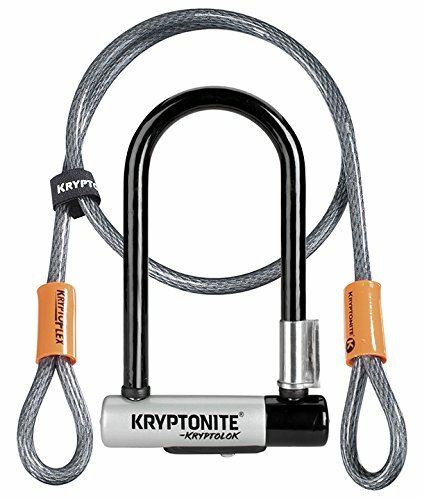 13mm hardened PERFORMANCE STEEL SHACKLE resists cutting and leverage attacks. Reinforced hardened CROSS BAR DESIGN provides increased protection. HIGH SECURITY DISC-STYLE CYLINDER. ANTI-RATTLE BUMPERS reduce noise during transport. ROTATING DUSTCOVERS protects cylinder. Includes NEW TRANSIT FLEXFRAME-U transportation system which allows for versatile carrying. Protective vinyl coating. 2 STAINLESS STEEL KEYS.Key Safe Program. 12.7mm hardened PERFORMANCE STEEL SHACKLE. New Patent-pending HARDENED DOUBLE DEADBOLT DESIGN gives additional protection against twist attacks. HIGH SECURITY DISC-STYLE CYLINDER is pick and drill resistant. 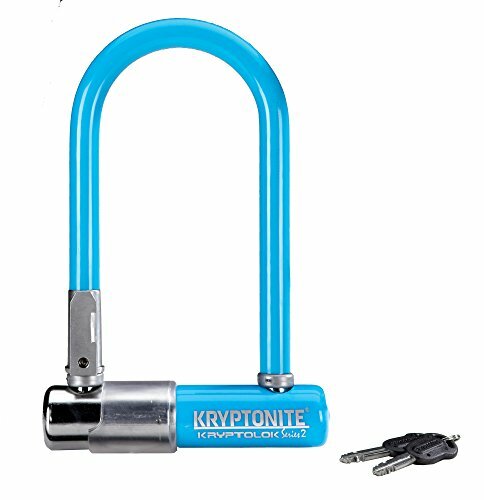 Includes 2 STAINLESS STEEL KEYS, with ergonomic design to reduce the amount of torque, and keep them from bending or breaking. 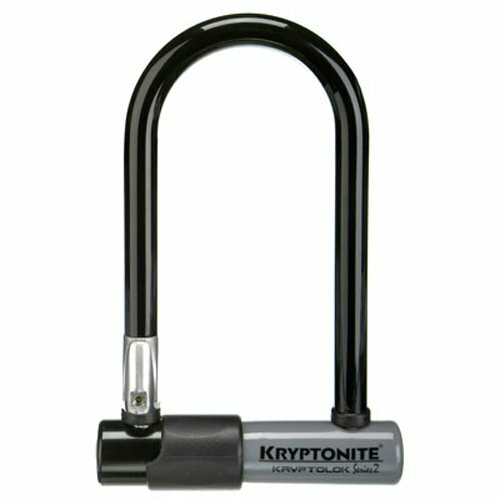 Includes 4’ KRYPTOFLEX™ DOUBLE LOOPED CABLE for securing front wheel or accessories. NEW DUST COVER. 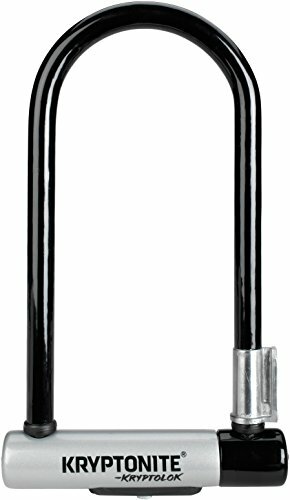 Includes FLEXFRAME-U BRACKET providing convenient multi-location u-lock transport. Protective vinyl coating. Product dimensions: 3.25” x 7” (8.2cm x 17.8cm). 9mm four-sided chain links made from 3T MANGANESE STEEL. Patent-pending END LINK DESIGN secures chain to hardened deadbolt eliminating critical vulnerability. Hardened DEADBOTL DESIGN provides additional protection. HIGH SECURITY DISC-STYLE CYLINDER is pick and drill resistant. Patent pending integrated lock head with "TALON" DEADBOLT. Includes 2 ERGONOMIC "I" KEYS. Durable WEATHER-RESISTANT nylon sleeve prevents scratches. Key Safe Program. Product dimensions: 37.5” (95cm) chain length.Product weight: 5.55 lbs (2.52 kgs). 13mm hardened MAX-PERFORMANCE STEEL SHACKLE resists cutting and leverage attacks. Reinforced hardened CROSS BAR DESIGN provides increased protection. HIGH SECURITY DISC-STYLE CYLINDER. ANTI-RATTLE BUMPERS reduce noise during transport. ROTATING DUSTCOVER protects cylinder. Includes NEW TRANSIT FLEXFRAME-U transportation system which allows for versatile carrying. Protective vinyl coating. 2 STAINLESS STEEL KEYS. Key Safe Program.Product dimensions: 4” x 9” (10.2cm x 22.9cm).Product weight: 2.85 lbs (1.29 kgs. 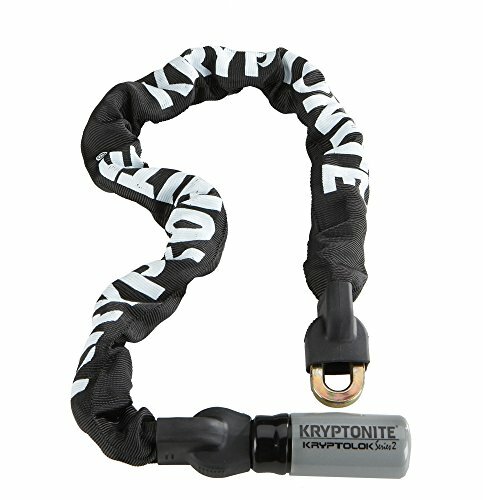 Copyright © Wholesalion.com 2019 - The Best Prices On Kryptonite Kryptolok Series Online.